The best thing about Snapchat is playing with the filters. Who hasn't sent a slew of selfies to a close friend just to try out all the available filters? And, since Snapchat's amazing tech can detect animal faces, too, some of us even use the filters on our furry friends — whether they like it or not. 1. 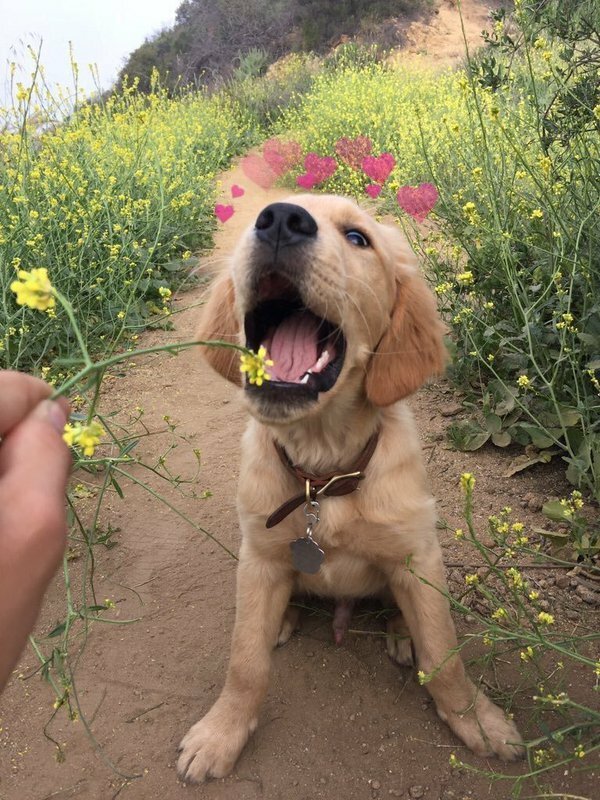 When you're just trying to eat a flower and your human gives you a heart crown and makes you internet famous instead. 2. Zooming in doesn't make it less weird. 3. Say Snapchat, hipster dog. 4. This is not a clever play on a "double dog dare." 5. This Snapchat filter will launch a thousand greeting cards. 7. Is this a fat joke? I'm not laughing. 8. Four x nope = this. 9. What? Why are you looking at me like that? Why are you posting something on the internet? 10. NOM NOM NOM. Where are the snowflakes? You said there were snowflakes. 12. I'd like to phone home now. 13. Mean Librarian dog is judging you. 14. Why are you speaking in a British accent all of the sudden? 15. Well, I AM a princess. 19. This Snapchat filter is just reflecting how this dog feels on the inside. 20. Bah humbug to your Snapchat filters. 23. You can see the anger behind the cartoon shades. 26. What's this "Snapchat" thing the kids are all excited about these days? 27. Does this filter make me look smart? Trick question: The fact that I'm a genius good boy makes me look smart. 29. This dog is not feeling as animated as she looks. 30. You're embarrassing both of us. 33. Is anyone else feeling uncanny valley vibes? 34. So chic. So bizarre. So art. 35. This did not go as planned. 37. I don't need filters to be adorable though. 39. Talk nerdy to me. 40. When you faceswap your cat with Nicolas Cage. 42. Take this, Space Cat memes.